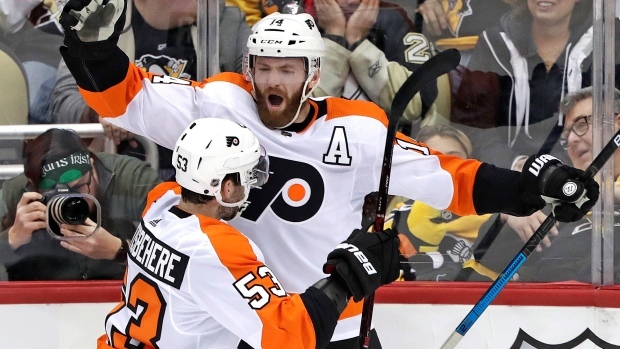 The Flyers kept their fading post-season hopes alive by again surging past the Penguins for the second time in a month. Pittsburgh's stretch run might not include Malkin, who head coach Mike Sullivan said is "week to week" with an upper-body injury. Malkin collided with St. Louis defenceman Robert Bortuzzo in a loss to the Blues on Saturday. He remained in the game and played more than 19 minutes but just over 24 hours later his familiar No. 71 was nowhere to be found.